Pop those wine corks. . . and create a wine cork bulletin board. Our wine cork kits are one of our most popular products, since half the fun is in the making. The bulletin board made in mahogany wood is perfect for the kitchen, home office, or wine cellar. We supply the hardwood frame and instructions. You supply the wine corks. Gift boxed. Size: 16"L x 16"W Approximately 128 wine corks are required to complete bulletin board kit. Note: Wine corks vary in size. Repurpose your corks, preserve your memories. 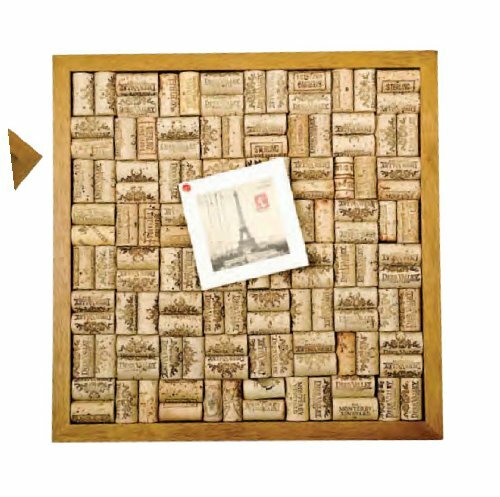 Fill this kit with keepsake corks and enjoy "memories of wines past"---along with a handy board for protecting surfaces and furnishing walls. A fun, eco-friendly way to turn your love for wine into a handsome home accent. We supply the solid mahogany frames and instructions. You supply the wine corks and imagination. Mahogany sourced from sustainable tree plantations. Size: 15-3/4" Dia. 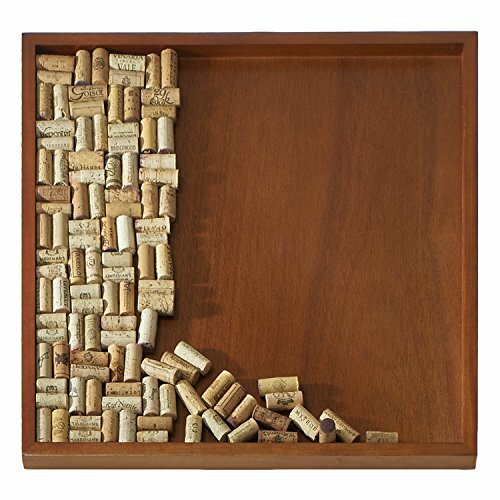 Approximately 60 wine corks are required to complete this Wine Cork Round Tray. Note: Wine corks vary in size. Decorative and functional high quality Black wood grain composite shadow box and wine cork holder. Make wine drinking even more enjoyable by collecting and displaying your wine corks. Comes with a hole at the top of shadowbox where you can drop in your corks. 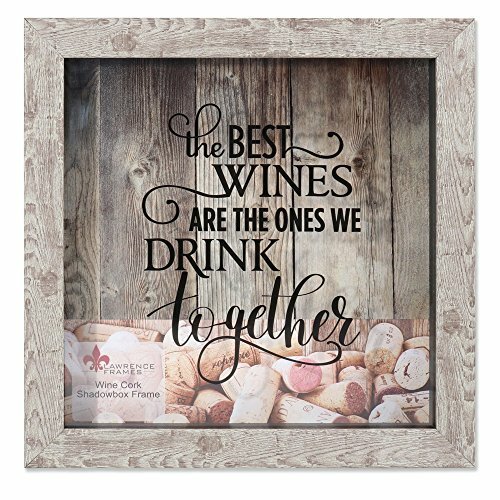 Printed on the glass cover are the words "the best wines are the ones we drink together". can stand on a table or counter, or can be wall mounted with included hangers. Backing can also be easily opened to arrange or remove corks. Comes individually boxed. Save your favorite Wine corks, and Make into a bulletin board. Complete Kit--You just add the Corks. Decorative, classy, and durably designed cork holder to showcase your love for wine! Comes with a hole at top to drop used corks in. Backing can be easily removed for emptying corks or cleaning box. Printed on front glass is the quote "All You Need is Love and a Bottle of Wine". Get one for yourself or for the wine lover in your life! Metal Monogram Wine Cork Holder looks distinctive empty or when filled with tokens from your favorite wines. 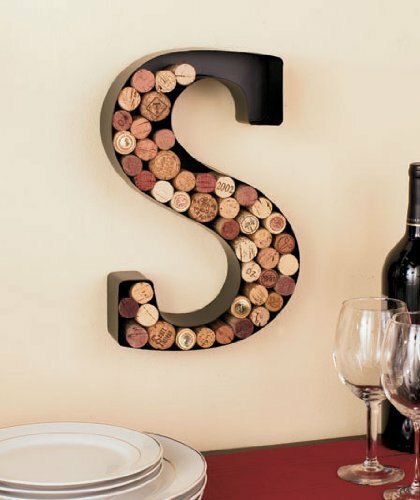 When you finish a bottle, save the cork and add it to this letter-shaped frame. Start from the bottom and build your way up. Use a dot of glue on each cork for extra security. Ready to hang. Sizes range from 12"H x 7-3/4" to 15-3/8". 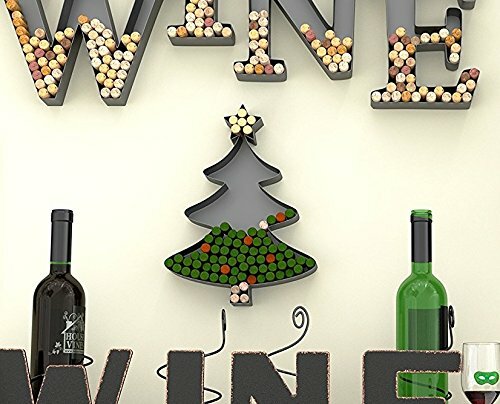 Christmas Tree Shaped Cork Holder Wine Wall Décor Art The Perfect Christmas Crafts for Kids - Paint the Corks to Trim the Tree! Unique Holiday Wine Decor Perfect Wine Gift Christmas DIY decoration Display Corks From Around The World Show off your style and love of wine with this decorative Christmas Tree cork holder! Perfect gift for the wine lover in your life! Metal trees are extremely durable and easy to hang. Chocolate Brown Color Satisfaction guaranteed! 100% Money back if not satisfied! Click the "Add to Cart" now and get ready to show your style!CORKS NOT INCLUDED! 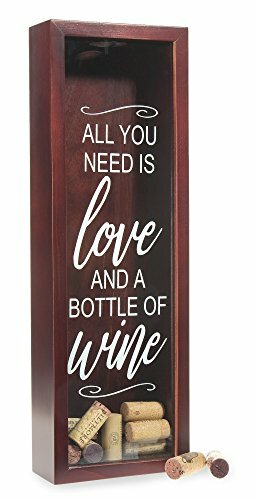 Decorative and functional high quality weathered wood grain composite shadow box and wine cork holder. 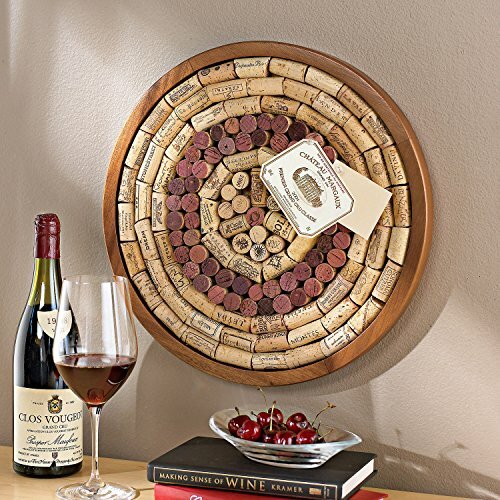 Make wine drinking even more enjoyable by collecting and displaying your wine corks. Comes with a hole at the top of shadowbox where you can drop in your corks. 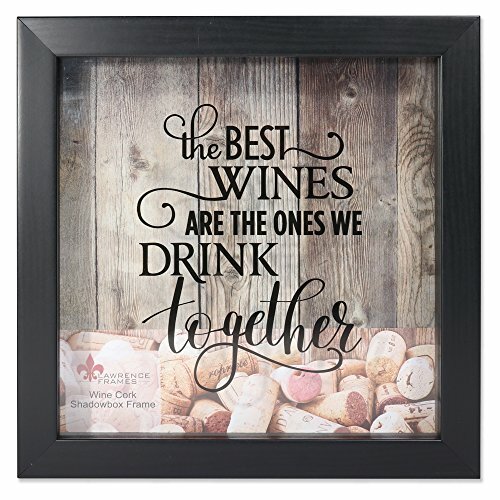 Printed on the glass cover are the words "the best wines are the ones we drink together". can stand on a table or counter, or can be wall mounted with included hangers. Backing can also be easily opened to arrange or remove corks. Comes individually boxed. Looking for more Wine Cork Bulletin Board Kit similar ideas? Try to explore these searches: Mask Cover Makeup, Rohl Riser Diverter, and Ladybug Mini Frame. Look at latest related video about Wine Cork Bulletin Board Kit. Shopwizion.com is the smartest way for online shopping: compare prices of leading online shops for best deals around the web. 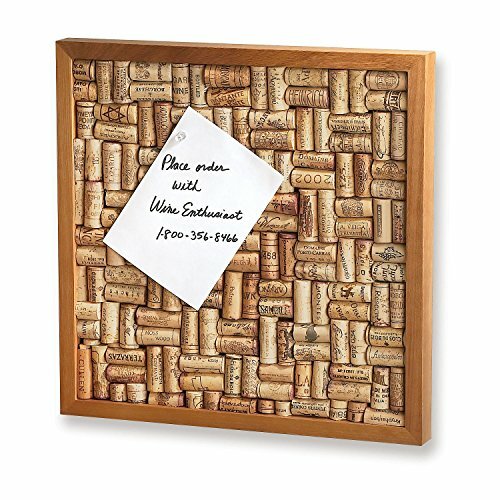 Don't miss TOP Wine Cork Bulletin Board Kit deals, updated daily.